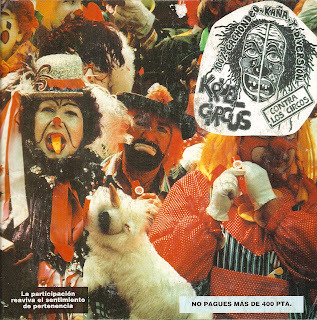 Crust and punk from Spain comes Kruel Circus...don't like the cover, but the music is cool..
01. Cuanto cuesta el sufrimiento? Yes the cover is kinda funky and not sure about the name either (The "K"? ), but any band that limits the price with a "pay no more than" is alright in my books.